Skeedattle Associates' Just Howard won his fourth straight race and earned his first graded stakes victory Saturday by three-quarters of a length over Voodoo Song in the $200,000 Commonwealth Derby (G3) at Laurel Park. Under jockey Feargal Lynch, who won four races, three of them stakes, on the 'Class on the Grass' program, Just Howard stalked pacesetter Voodoo Song, the 3-5 favorite, through early fractions of 22.97 seconds, 46.47 and 1:10.33 in the 1 1/8-mile turf race. 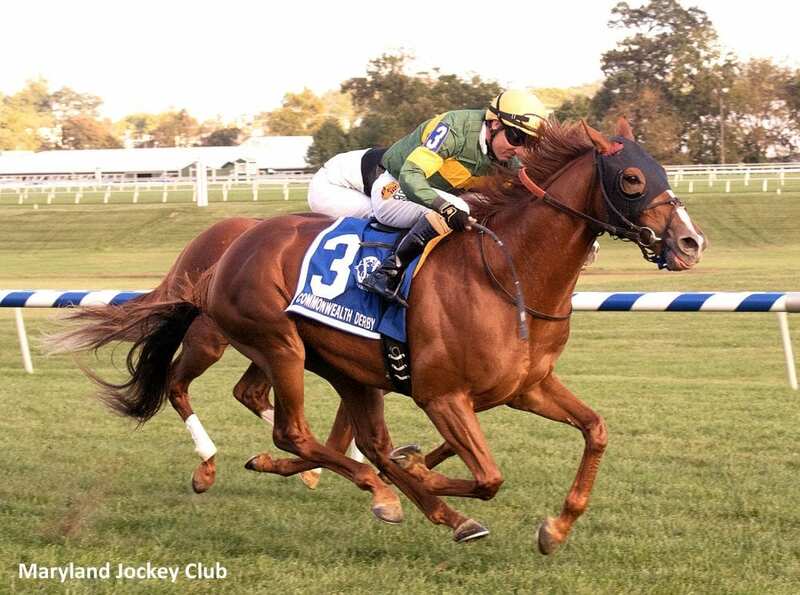 The Maryland-bred son of English Channel trailed by 1 1/2 lengths at the top of the stretch but steadily gained on the pacesetter and finished in 1:45.81, a record for the Kelso Turf Course layout. Sent off at 7-1, the fourth choice in the field of six, Just Howard returned $16.80. Voodoo Song held second, beating Stuart Janney III's Profiteer by a length. Lynch, 39, picked up the mount on Just Howard from Alex Cintron, who was up for the previous three wins. Cintron had a riding commitment at Delaware Park. In his first trip on Just Howard – who is unbeaten since trainer Graham Motion added blinkers – Lynch turned in a well-timed, tactical ride to top Voodoo Song, who had won the Saranac Stakes (G3) on Sept. 2 at Saratoga Race Course. “[Voodoo Song] is a Saratoga specialist,” Lynch said. “When he went wire-to-wire in Saratoga I knew he was going to be tough to beat. My horse got a great trip. Going into the first turn is where we won the race. Just when all those other horses were going to come down I stuck [Just Howard] right in there. [Voodoo Song] was the horse to track. The whole way I was just waiting for my gap to come open. Robert 'Willie' White of Skeedattle Associates said his Clarksville, Md.-based three-person partnership of nearly three decades purchased the yearling colt for $37,000 at the 2015 dispersal sale of horses owned by the late Howard Bender, a prominent Maryland breeder and owner with his wife Sondra. They named the horse after Bender. In some of his previous races, Just Howard had been rank early, but Motion and his staff had been working on that issue and Lynch was able to get him to relax in the Derby. Lynch won the $150,000 Commonwealth Oaks (G3) with Rymska for trainer Chad Brown, and the $60,000 Brookmeade before his score on Just Howard. “It's a great day,” he said. “Scott Silver, my agent, does a great job. Unfortunately, Trevor [McCarthy] is out at the moment but we've kept the show on the road. Scott does a great job for me and Graham Motion gives me a lot of opportunities to go to Fair Hill and help with the babies and I've been able to breeze Irish War Cry and be a big part of him this year. This entry was posted in Racing and tagged commonwealth derby, English Channel, Feargal Lynch, Graham Motion, just howard, laurel, laurel park, voodoo song by Press Release. Bookmark the permalink.